Before Aaliyah passed away on August 25, 2001, Jon Caramanica profiled her in FADER #8. His feature is below. Aaliyah was also the subject of FADER's 2008 Icon Issue; read an oral history of her life told by Missy Elliott and Timbaland as well as Aaliyah's family and friends, then download two Aaliyah mixes made for that issue here. It’s OK not to know that much about Aaliyah. She likes it better that way. “I’m a bit of a loner,” she fesses, “There are plenty of moments when I just want to be by myself.” And indeed, Aaliyah has consciously remained mysterious, no matter how much success tugs at her lithe frame. Unlike most artists who sacrifice their personal space, and sanity, for a turn in the spotlight, Aaliyah keeps it on the low. Her youthful indiscretions hardly get a mention anymore, and the rumor mill almost never stops on her block. But the scars are there. In an era of unchecked frivolity, Aaliyah is the last of the torch singers, a woman for whom entertaining is as cathartic for her as the audience. There’s complex emotion throughout her corpus (“There’s obviously reasons I’m attracted to certain songs”) from “If Your Girl Only Knew” to “4 Page Letter” to her latest, “We Need A Resolution”, the lead single from her third album, titled Aaliyah. 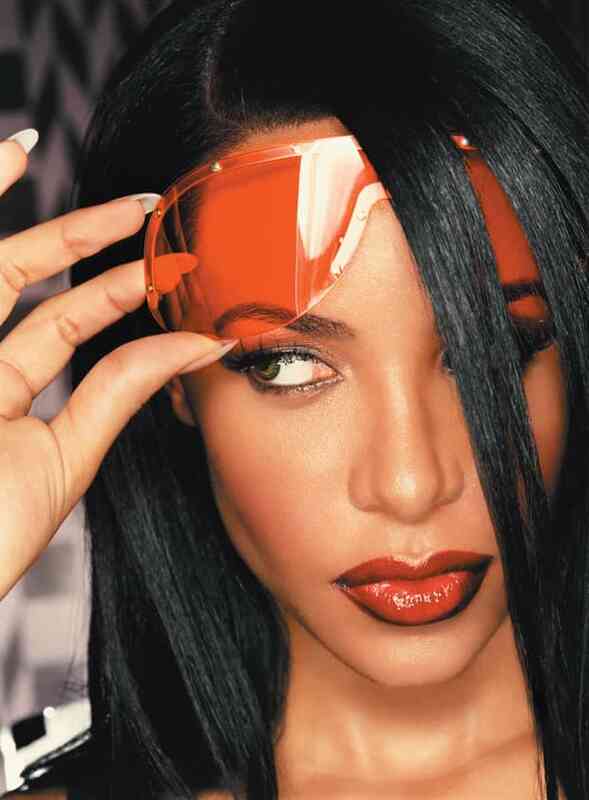 In the video, she appears almost sullen, her eyes thick with dark makeup; again, Aaliyah makes her trademark her serious manner, not her more ephemeral charms.